But here is my argument. The polka dot paper is a perfect abstract asteroid with craters. The red head (with its menacing teeth) popping out looks like the space slug chomping down, trying to catch the Millenium Falcon. Plus, the other 2 bobble-heads he gave me (Yoda and Wicket), were wrapped as Star Wars characters. And since I am writing this, and I think of it is a space slug, AND a lobster would not make as much sense on a Star Wars blog, I am sticking to my guns (I mean blasters). 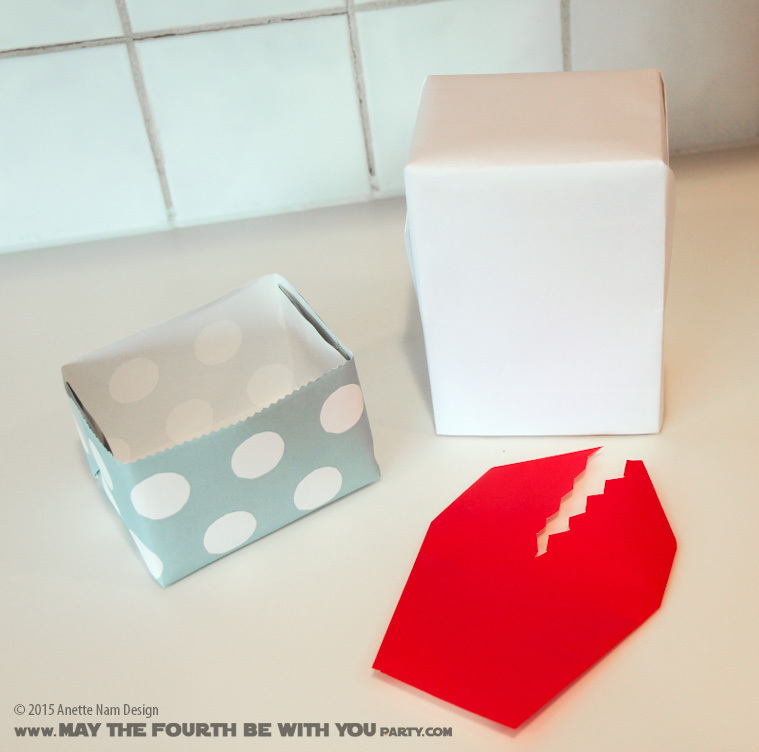 …just think it how marvelous it would be to wrap a Millenium Falcon in a box like this! As you guys may remember, earlier this year, I featured the 2 other Star Wars gift wrapping ideas (Yoda and Wicket), from comic book artist extraordinaire Gene Ha. I know I promised the 3rd, and I am sorry I am just now getting around to showcasing it. So here is the long-delayed, dare I say sluggish, post. Just like the Yoda and Wicket, Gene had made the wrapping in sections so I could carefully take it apart – just enough to get the box open, and then close everything up good as new. And just like the other 2, there was a marvelous Star Wars Bobble-head inside. I decided not to take it apart to figure out exactly how it was made, but we can tell pretty well from the pictures. 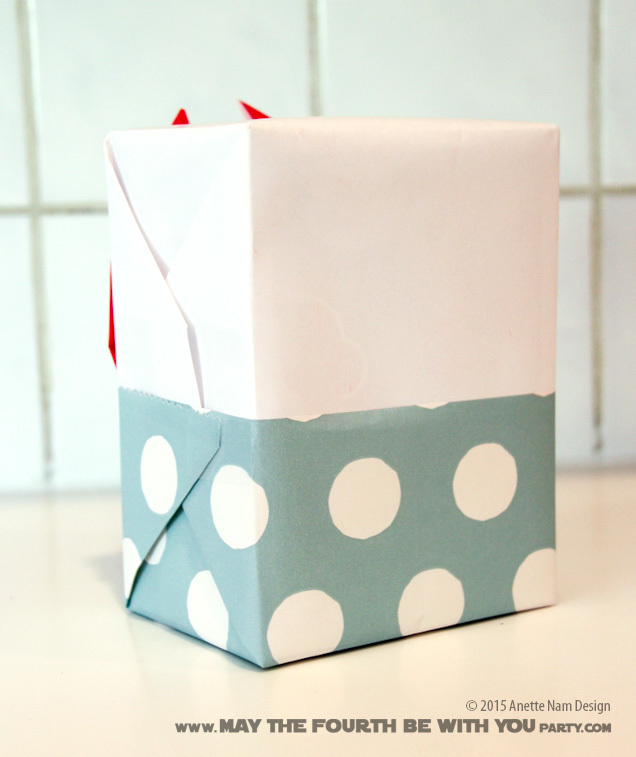 Remember not to tape the paper to the box – you’ll want everything to be able to slide off. Wrap the box with white paper. Fold and cut the red lobster claw – I mean space slug.